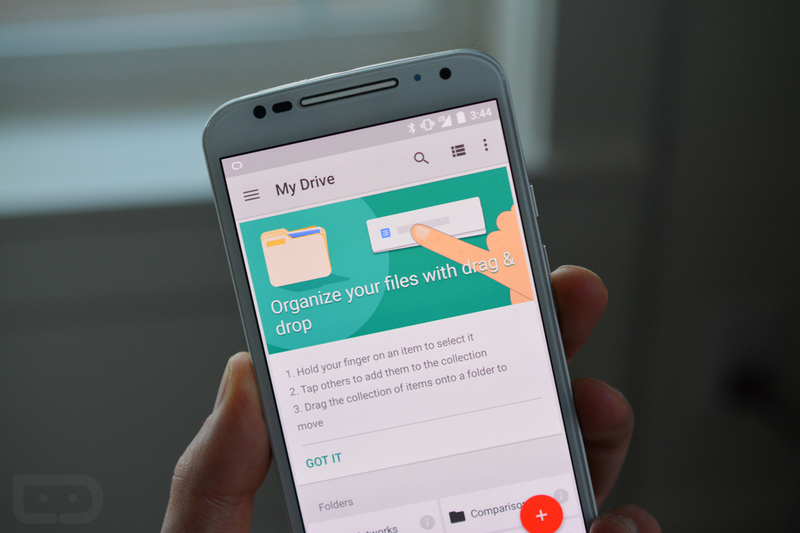 An update to Google Drive is rolling out today as version 2.2.083. The update introduces drag & drop, which means you can now grab a whole bunch of files or folders (initiated with a long press on the first file), then drop them in a new location, delete, star, pin, or specify a new location. This action is actually incredibly useful and well done. Organizing your files and folders has never been easier. You can grab the update through Google Play or sideload it with the .apk file below.